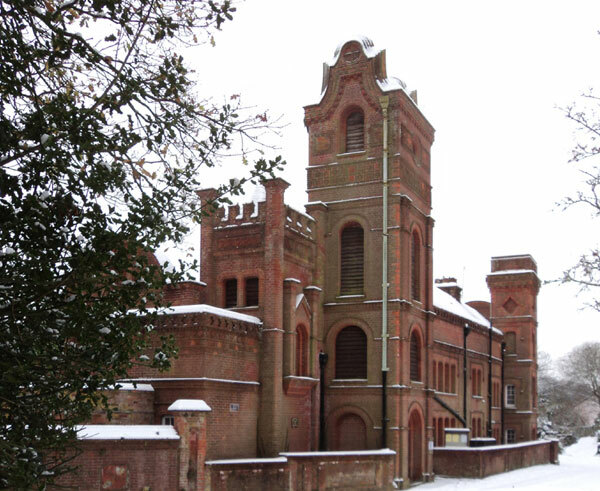 At an Extraordinary Meeting of Farringdon Parish Council on yesterday evening (30th Dec) the Councillors present voted unanimously to accept one of the three bids to buy Massey's Folly. The three bids ranged from £832,000 to £875,000 for the entire building, including the Western part and the surrounding land currently owned by the Andrae Trust. Councillor Peter Durrant, who has been negotiating the sale on behalf of the Parish Council with Appointed sales agents Carter Jonas gave an informative and well prepared report on three offers which were received before the deadline last week. Both of the higher bids for £875,00 and £836,000 were made subject to the condition that detailed planning application for the conversion of the Folly to Residential units would be approved before purchase while the lower bid of £832,000 was an unconditional offer for the building and the land as it stands without any planning preconditions. In view of the condition of the building and the potential costs which might be incurred by the Parish Council in the period before detailed plans were approved by the Planning Authority and no absolute guarantee that sale would go through at the end of that period, Councillor Durrant recommended acceptance of the lower offer which was also the favoured option of the other party involved, the Andrae Trust. This view was supported by the few members of the public present, and the £832,000 offer was accepted unanimously by the Parish Council Members. The revenue from any sale will be split between the two owners, the Andrae Trust and the Parish Council, on a 54/46 split as the Trust owns the larger share of the Folly. On this basis the Parish Council will receive £382,720 before agents fees and solicitors charges are deducted. Assuming the sale does go through without any unexpected delays, the options to secure some sort of replacement will have to be considered as the VIllage will be left without any Public Space, although the Church would be an option for some Public Meetings. Various schemes have been proposed, some venturing into the realms of fantasy, but what ever option is selected a considerable amount of funding, over and above the revenues from the sale of the Folly, will be required to provide a replacement building for Village social functions.